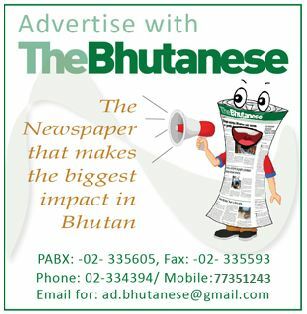 The Bhutanese recently floated a vacancy for a Finance/Accounts officer for The Bhutanese Newspaper. The company was willing to offer Nu 12,500 per month as a one-year probation pay for a fresh graduate or even a class 12 pass out with the requisite knowledge. The salary would increase depending on performance and ability to take responsibility. The person would be trained in the practical office accounts by an experienced accounts officer for a month on a daily basis. This is what happened. Around 12 graduates applied via email. Despite each and every one being called on their phones only five turned up on the interview day. Most of these five candidates could not get through RCSC in the first attempt as they honestly told me. Of the five, four backed out when they were told that the company need’s people who can commit to a minimum of a three-year period through a contract, as the company was looking for long term employees. The contract of course would have mutual exit provisions as mandated by law. The remaining one also eventually backed out, even after the candidate was told the pay would increase depending purely on performance. Most of them aspired to try again for RCSC while one of them wanted to avail the Labour Ministry’s scheme to go abroad. There is definitely a youth unemployment problem in the country, but it could be redefined in some ways as an ‘RCSC or government jobs unemployment problem’ as the above example illustrated how some youths prefer to remain unemployed rather than join the private sector.